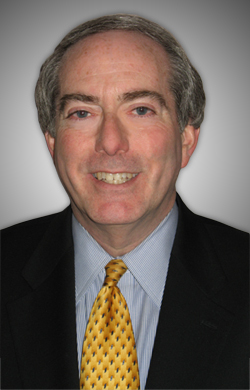 Richard Winer has been in private practice in Roswell, Georgia for over 30 years. Much of his practice is devoted to evaluating and treating affective disorders in both children and adults, and he is a frequent speaker and moderator for programs about ADHD and affective disorders around the country. Dr. Winer has served as the Chief of Staff, Chairman of the Department of Psychiatry, Chair of the Patient Rights and Organizational Ethics Committee and as a member of the Board of Directors at North Fulton Regional Hospital in Roswell. He has also worked as a statistician and spotter at NFL and college football games for the St. Louis Rams Radio Network, CBS Radio Westwood One, and other radio and television networks. He has worked on national radio broadcasts of more than ten Super Bowls as a spotter or statistician. Dr. Winer was the public address announcer for wheelchair basketball at the 1996 Paralympic Games in Atlanta. He attended Tulane University for two years, where he served as the Voice of the Green Wave for Football, Basketball and Baseball. As an undergraduate at Washington University in St. Louis, Dr. Winer served as the school's Sports Information Director. He received his B.A. in Biology from Washington University in St. Louis and his M.D. from The University of Kansas School of Medicine. He completed his psychiatric residency at the Karl Menninger School of Psychiatry in Topeka, Kan. Dr. Winer was born and raised in Kansas City and resides in Atlanta.